"One of the renowned hotels in Mumbai, the Taj Mahal Hotel reflects traces of Indian architecture with its vaulted alabaster ceilings, onyx columns, graceful archways, silk carpets and glittering chandeliers. Adorned with a rich collection of artifacts and paintings, the Taj Mahal Hotel is much more than just a hotel. 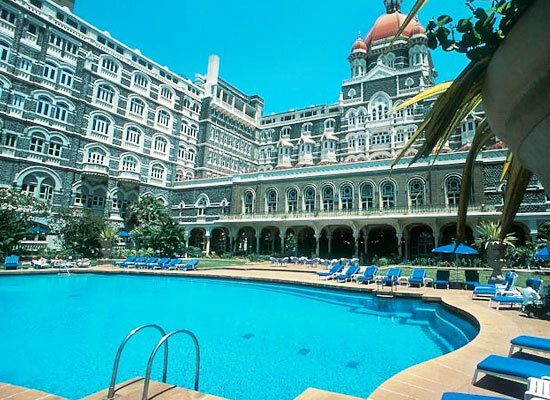 Taj Mahal Hotel, Mumbai surely lives up to its name in grandeur, magnificence and splendor. Opened in the year 1903, the Taj Mahal Hotel in Mumbai reflects the perfect blend of Moorish, Oriental and Florentine architectural styles. With its classic grandeur and elegance it also gives the guests panoramic views of the Arabian Sea and the Gateway of India. The Taj Mahal Palace hosts 560 rooms and suites. Overlooking the iconic Gateway of India, the hotel enjoys the best views of Mumbai. All accommodations are endowed with a blend old-world charm and a range of modern facilities. Experience the signature luxury of Taj in the Tower Superior rooms. Equipped with king-size, queen-size or twin bed, enjoy an uninterrupted view of the twinkling city. Modern amenities look after the comfort of guests. The Tower Deluxe rooms are furnished with a king-size, queen-size or twin bed. The grand interiors are also equipped with a range of luxurious facilities. The view of the harbour from the room is pleasing. The Palace Luxury Grande Rooms represent the elegance of a bygone era. The classic rooms have option of a king-size, queen-size, double or twin bed. The view of the city and the hotel pool is pleasant. The added luxury is a soothing bath in the luxurious Italian marble bathroom. Taj Club rooms is a lavish home away from home. Enjoy a sparkling city view. The room has a king-size or twin bed with a host of services and amenities. Guests are treated to an exclusive access to Taj Club & Lounge and other services. The Executive suites are contemporary with a historic style. Equipped with modern amenities, the furnishings include a king-size bed. Enjoy the wonderful city and pool view. 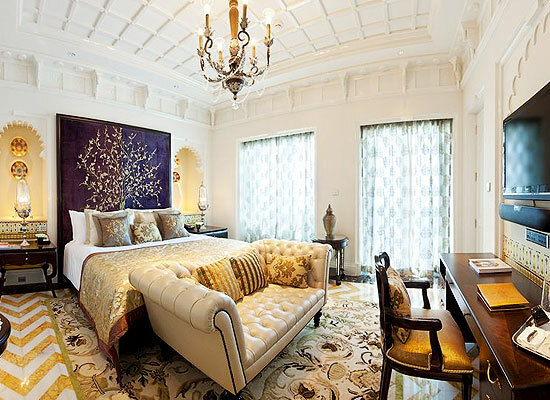 Luxury suites by Taj are trait of elegance. The impeccable design are the hallmark of these suites. The king-size bed room has uniquely themed suites with original art & furniture. Enjoy wonderful views of the city and the pool. The plush Grand Luxury suites offer sweeping views of the Arabian Sea and Gateway of India. Each suite is uniquely designed around a reminiscent décor theme. Guests are treated to a range of lavish facilities. The signature Ravi Shankar Suite occupies a prime location. The room has a king-size bed with view of Gateway of India and the glittering Arabian Sea. Here Pandit Ravi Shankar taught George Harrison the sitar. 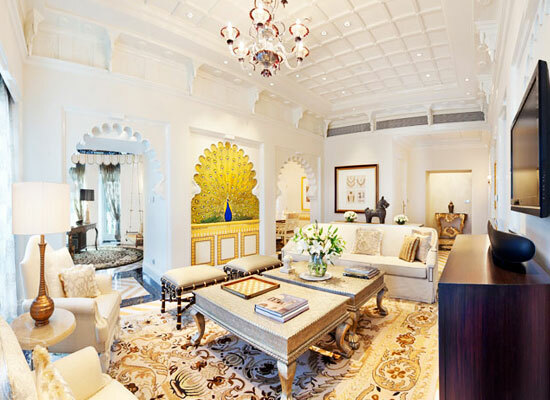 This expansive, opulent presidential Tata suite is the ultimate showpiece of the Taj Mahal Hotel. The epitome of luxury is furnished with a king-size bed. Revel in the panoramic view of Gateway of India and the sea views. The signature Rajput suite recreates a memorable stay of royal luxuries. The king-size bed has view of Gateway of India and the Arabian Sea. 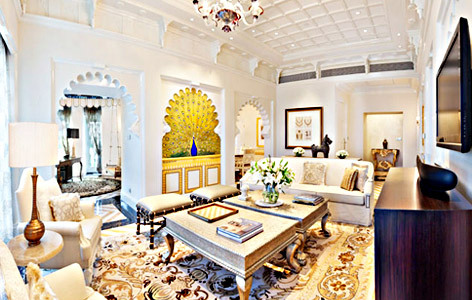 The unique suite is designed in an expression of Rajasthani splendor. 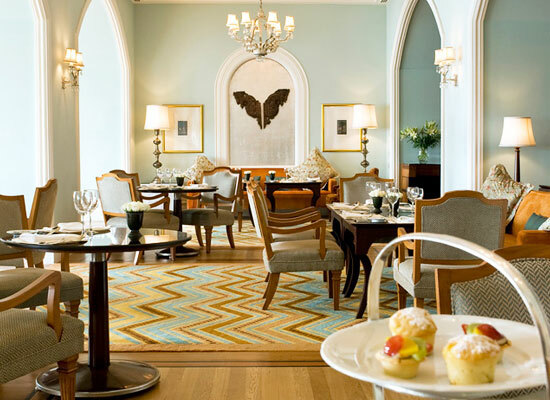 The Taj Mahal Palace, Mumbai, has some of the celebrated fine-dining restaurants in India. Discover diners where you can relish tantalizing Indian, Middle Eastern and Oriental cuisines, served with lavish hospitality. The perfect place for classic Japanese dishes. Savor authentic food with ingredients specially flown in from Japan accompanied with innovative contemporary twists. Celebrated for its delectable Sichuan and Cantonese cuisines, and its unique live kitchen, Golden Dragon offers a cherished dining experience. Treat yourself to contemporary Indian cuisine. The live cooking stations are known for innovative Masala Medley cocktails and local Bombay Tiffins. Souk is a charming rooftop restaurant at the Taj Mahal Hotel. It is popular for its exquisite Eastern Mediterranean cuisine. Mumbai’s inventive coffee shop welcomes guests to a lavish international banquet, live band and India's first and only wine buffet. This exclusive outdoor poolside restaurant is perfect to sit back and relax. Light snacks, delicious desserts and exotic drinks are on the menu. Mumbai’s first licensed stylish lounge bar offers fine malts, international wines, Asian spice cocktails and global tapas. Treat your taste buds to the experience. The Sea Lounge is offers an extensive selection of classic English delicacies and delightful local Indian favorites with some of the world's finest teas and coffees. The cake shop offers delicious desserts, breads, cheeses, savory and sweet treats, beverages and international wines. Savor the delightful feelings you have for these sinful deserts. Mumbai the commercial capital of India is the city of dreams. From the serene blue Arabian Sea to the bustling Stock Markets, the magnificent Gateway of India, Elephanta Caves, Mumbai is the ideal destination for tourists. The film capital of India, Mumbai is surely one of the major tourist places as well as an important business destination.